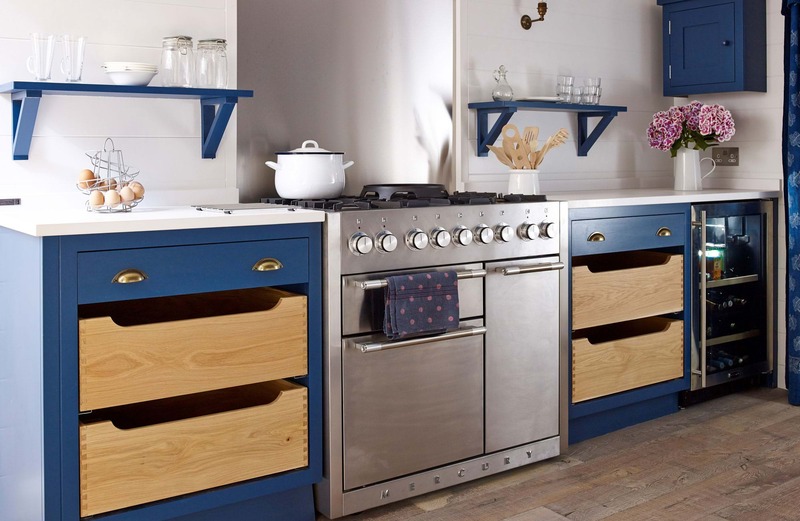 Rangemaster are Britain’s No.1 range cooker manufacturer. The perfect combination of a rich British history along with quality, performance, choice, features and design are the reasons you’ll find Rangemaster in more homes than any other range cooker brand, all complete with a two year manufacturer warranty as standard. All of Rangemasters 90, 100 and 110cm models are proudly manufactured in Britain. Their manufacturing plant in Royal Leamington Spa has been established since 1830. 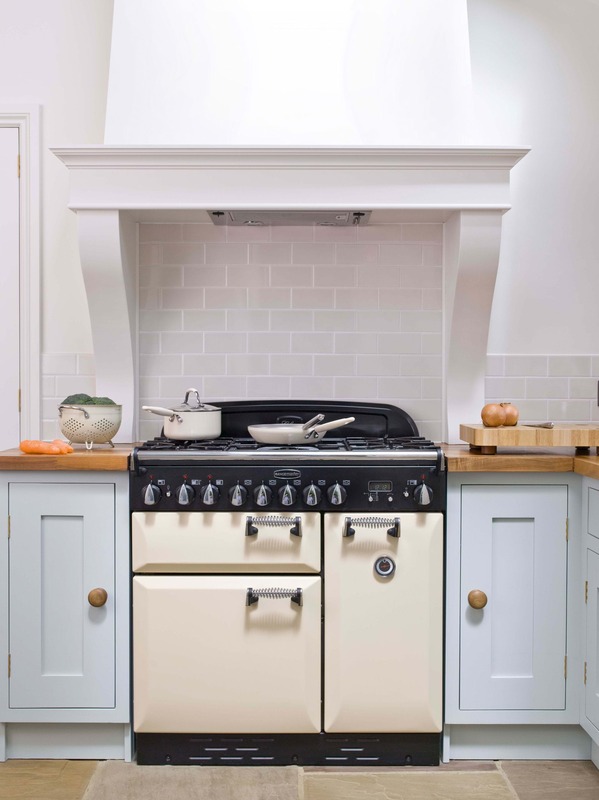 This means that Rangemaster are also the world’s oldest range cooker manufacturer. A range cooker is a great alternative to built in ovens. As well as providing a centrepiece to your new kitchen a range cooker can offer larger cooking capacity and flexibility with your cooking. 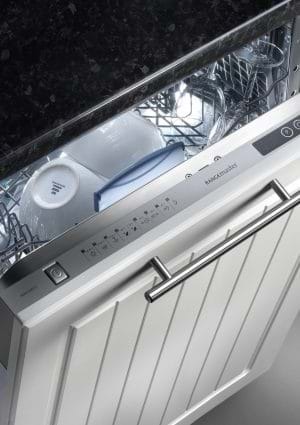 Rangemaster range cookers come in a variety of styles and colours. From the ultra sleek Professional and Nexus ranges to the more traditional Elan and Kitchener designs. Depending on the model, you will have the option of two ovens instead of just one. A separate grill space and additional storage. 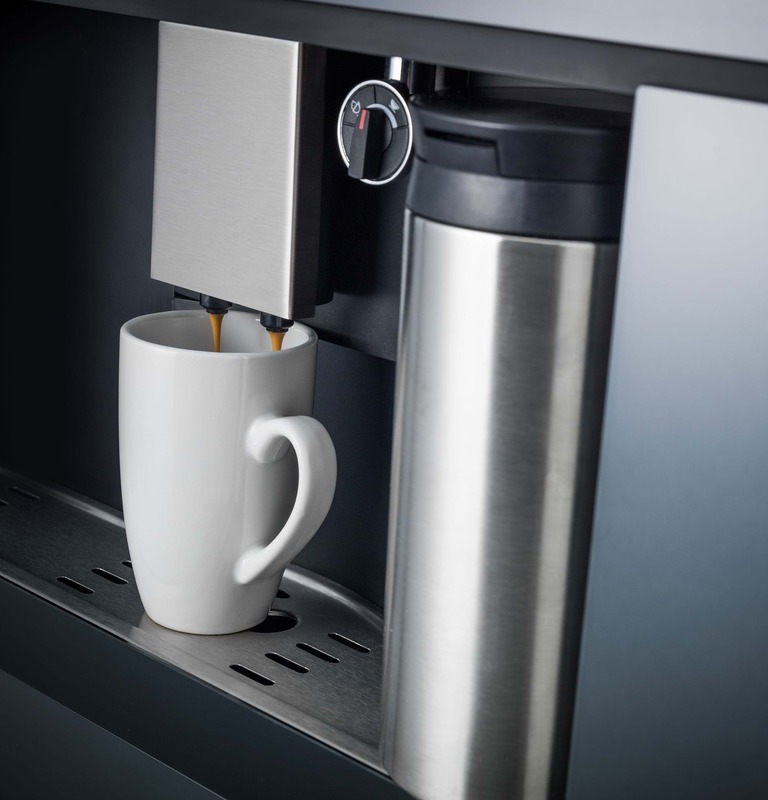 The most popular fuel type is dual fuel, but full electric options are available with induction and ceramic hob styles. If you are looking for all gas, this is also an options but limits the number of ranges available to you. Remember that LPG conversion kits are also available. Ask our staff for more details. 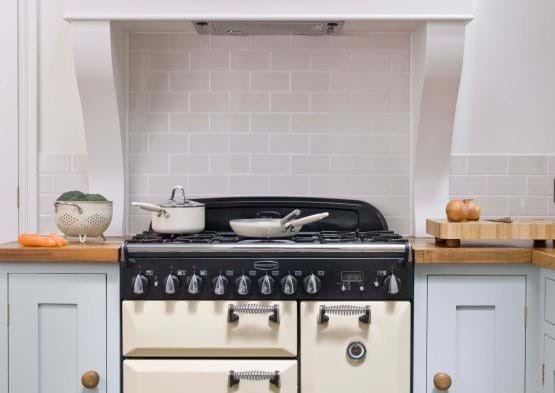 If you have decided that a range cooker is right for your new kitchen, you will also want to think about a cooker hood that compliments your cooker. Rangemaster offer a number of complementary hood designs and colours, as well as coordinating splash backs. Traditional kitchens also suit integrated cooker hoods, which are hidden underneath a mantle or cupboard. These look great in farmhouse style kitchens. Ensuring you maintain your aesthetic without losing any functionality. 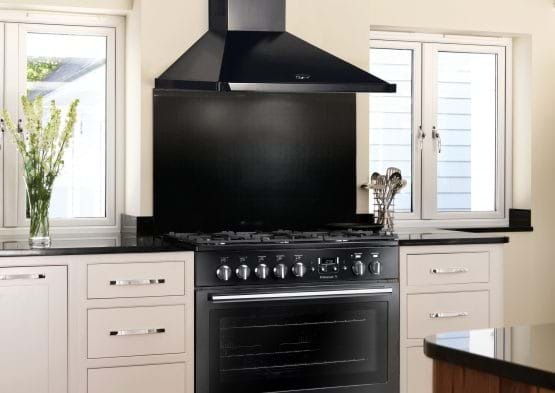 Rangemaster also offer a number of designer hoods, that will sit with built in ranges, so even if a range cooker is not right for you, you can opt for Rangemaster built in appliances. The Vesper hood for example, is a stylish choice for island style extraction. 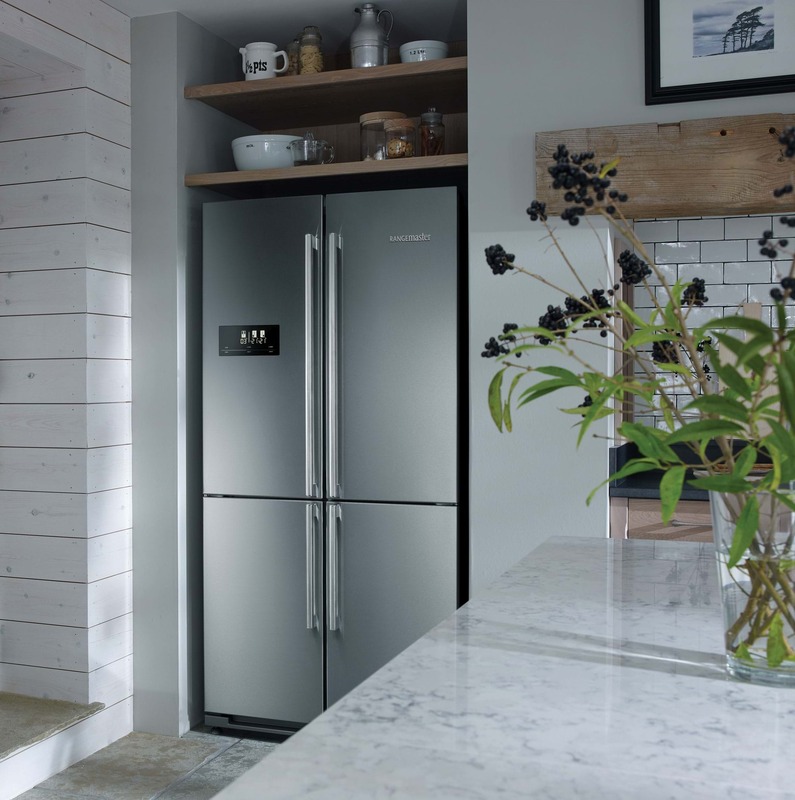 Rangemaster’s stylish four door refrigeration is the perfect way to complete your kitchen and match with your chosen range cooker. 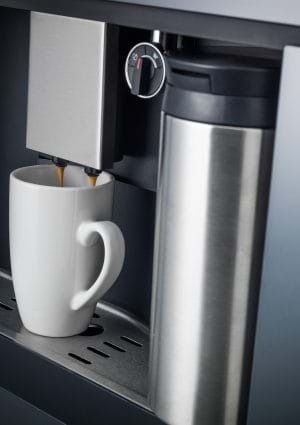 Available with and without ice and water function depending on your internal storage requirements. 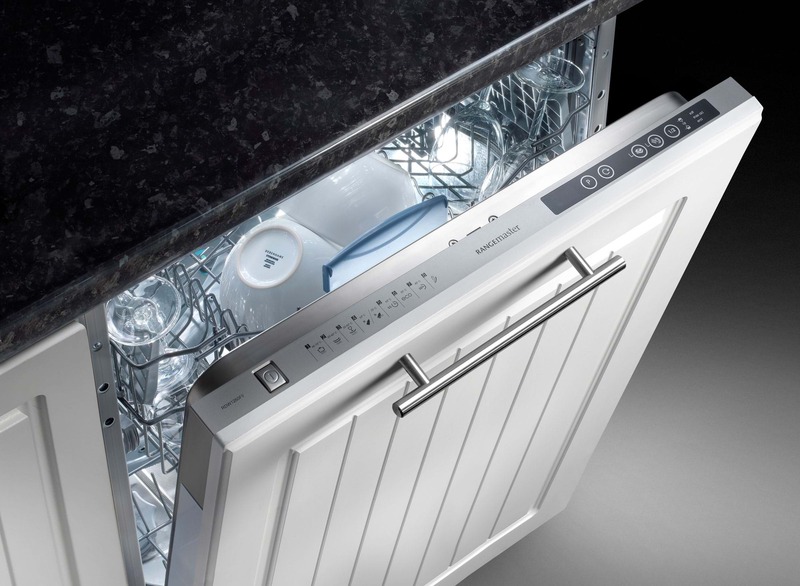 Rangemaster integrated dishwashers are designed to deliver exceptional cleaning results whilst blending seamlessly with your new kitchen. Available in a slimline or full size design, you can chose between 10 and 12 place settings. 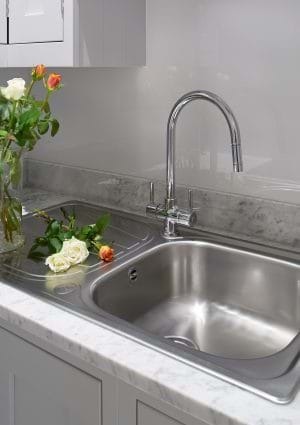 Rangemaster’s collection of stainless steel sinks are available in a number of unique designs. 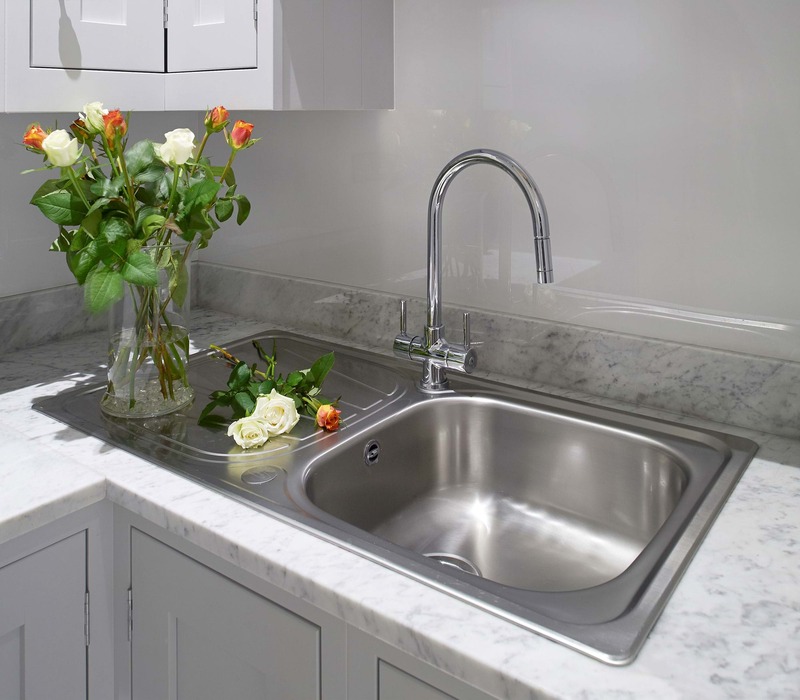 These sinks co-ordinate perfectly with Rangemaster’s tap collection. You also have the choice of traditional or contemporary designs. 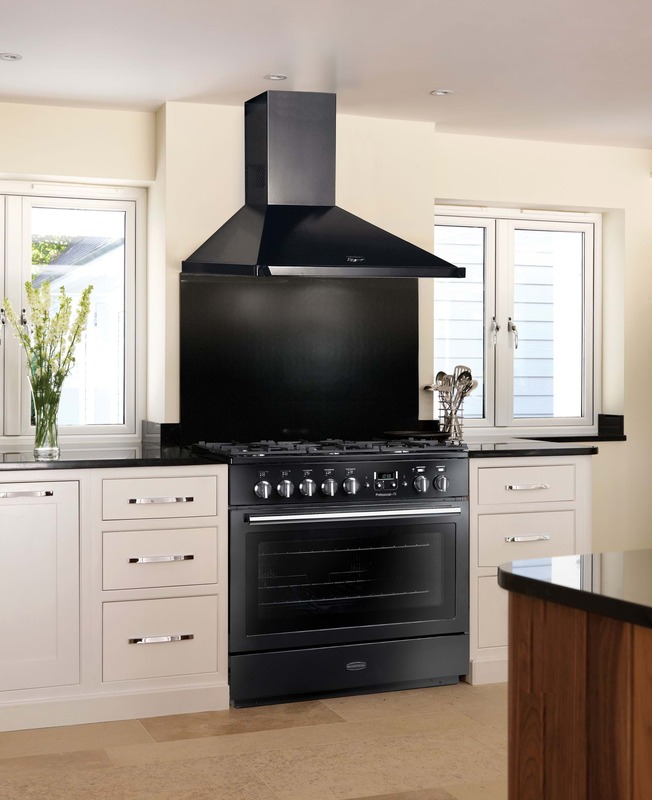 If you’re not sure a range cooker is for you, then it may be time to consider a built in Rangemaster appliance. 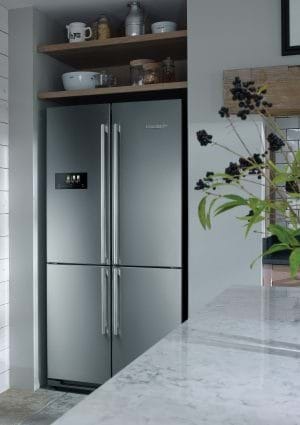 Choose from both single and double ovens, as well as compact appliances, refrigeration and hobs.